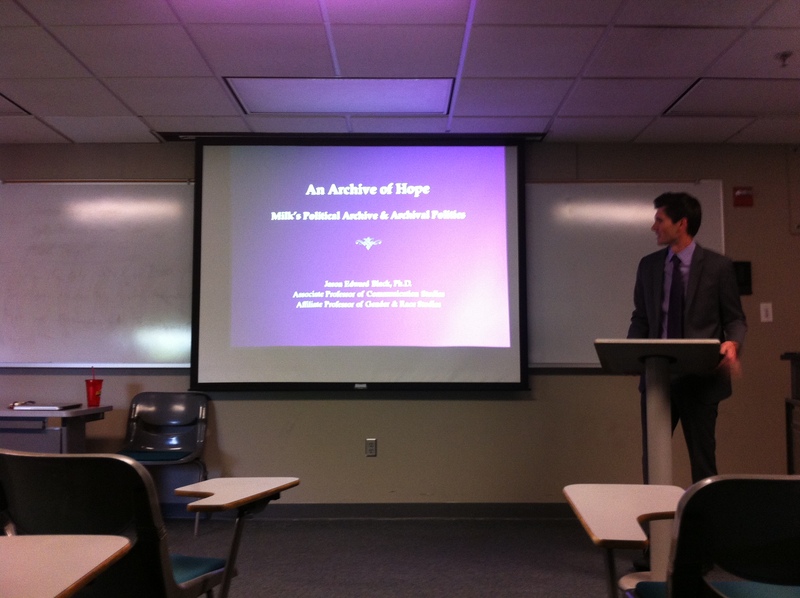 The final segment of the colloquial series at the University of Alabama was held on Monday, April 22, 2013. Jason Edward Black presented his 8-year project of archival research on Harvey Milk. 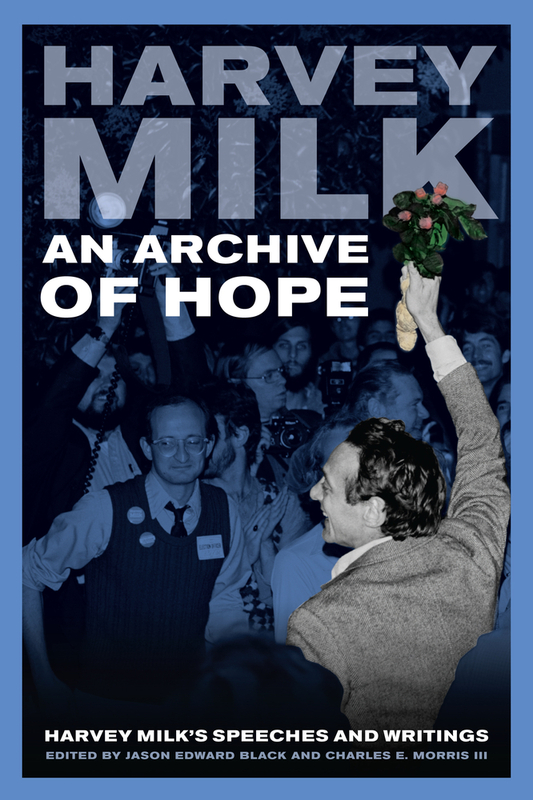 Black’s novel An Archive of Hope, published on February 12, 2013, is a collection of Milk’s early political life through his assassination in 1977. Black began by presenting an outline of the lecture, beginning with general history of Harvey Milk. Black describes the importance of covering both the larger monumental political moments, but also the smaller movements. Black continues to describe the daunting process of researching and extracting information for the discourse. Black talked about his trips to San Francisco to sift through the San Francisco Public Library’s archives of Harvey Milk. While he was working in San Francisco, Black was able to gain a larger connection to his project. Through rigorous hours in the library and creating relationships with Harvey’s speechwriter and personal photographer, Black had hit the archival jackpot. In the final segment of Black’s presentation, he provided quintessential tips when working with archives. Black suggests that timing is everything, but beware of the “macro pull” when dealing with archival work. He also reiterates the importance of establish relationships along the way, especially with the individuals who obtain the desired information. In addition, Black states that researching requires reflexivity. Lastly, Black emphasizes the importance of sensory pleasures that can derive from working hands on with archival materials. He goes on to explain that being exposed to the “raw rhetoric” of Milk’s files gave a more human side to the story being captured. The initial view from the Ford van initiated a feeling of an overwhelming sensation, induced with anxiety and anticipation. The trip leaders parked the van and gave a run down of the first day’s segment. Trip Leaders, Bekah and Samuel gathered the group and headed into the dense back country of the Smoky Mountains. The first day entailed an easy route of only 2.7 miles, leading the group to the first camp site that was on the banks. 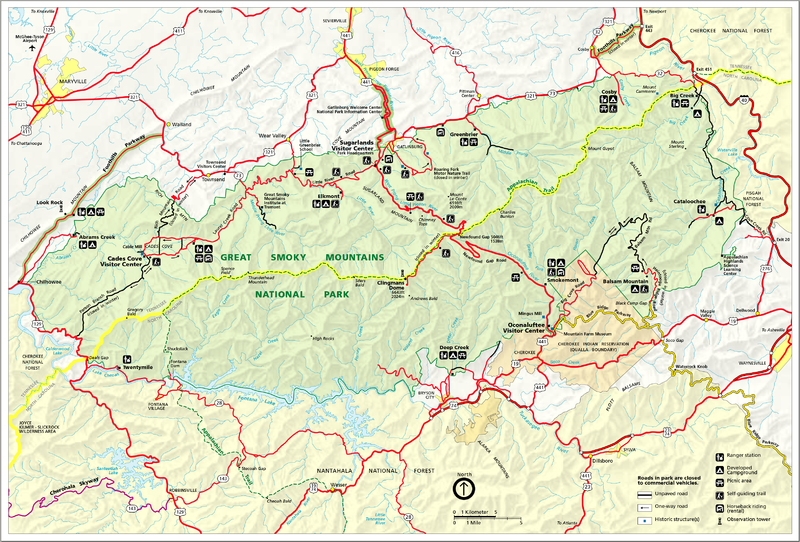 Tucked amongst a portion of the 2,100 miles of river stream that runs throughout the mountains. The first day’s events included battling the efforts of putting together odd shaped tents and hammock placements and the chilling weather. Upon night fall, the true beauty of a hiker’s experience is exposed. Hikers from far and wide are brought together by the warmth and enchanting allure of a camp fire. Individuals shared their stories, compared trips, and spoke of everything that could possibly be thrown through conversations. The following day brought the uphill battle of hiking up the mountain, with the destination of the begging route of the Appalachian Trail and Spence’s Field. Day Two’s travel took only three hours and a little over 10 miles until the oasis of comforting fields were met. Throughout the trip, hikers continued to expose themselves. 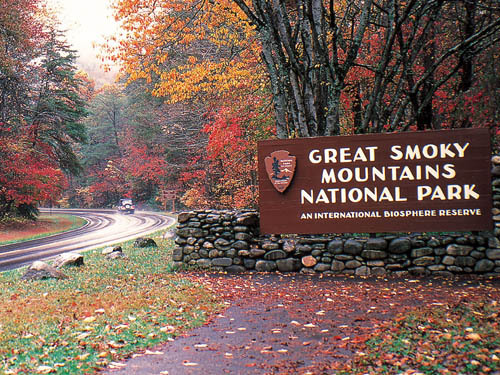 As a novice hiker, I encountered the lingo and fed my fascination of the Smoky Mountain’s beautiful scenery. 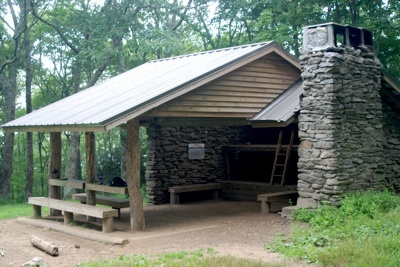 Following a rewarding a relaxing session embraced by Spence’s Field comforting grassy abode, the journey continued to view a shelter along the AT and some of the current travelers. Trail magic was shared and the 3 mile hike back to the campsite continued. Upon the last dinner shared, a feast of macaroni, sausage, and a fresh pepper were shared over tips of how to make the most of one’s sleeping experience and the legends of the Appalachian back country. The final day brought a bittersweet feeling among many of the hikers. The daunting thought of a 0.7 uphill hike with full gear grinded the kneecaps with anticipation. While the last day jitters brought upon the thought that only 9 miles separated the morning and long five hour drive back home. Post-backpacking, the trip offered exactly what were expected—new friends, larger goals in hiking, and the feeling of experiencing the beauty of the motherland’s natural state. On April 1, 2013, Journalist Rick Bragg spoke to our JN101 class. Rick Bragg is a former reporter for the New York Times, author, and current professor at the University of Alabama. The conversation was centered around a discussion of various stories from his book, “Somebody Told Me” Students posed various questions concerning stories such as his book unveiling the truth behind Jessica Lynch’s heroic moment against the United States Government and the majestic allure of a New Orleans jazz funeral for the “Chicken Man”. Bragg discussed what it meant to be a reporter according to the rules and what it meant to be a reporter to him. Bragg’s identification as a reporter highlighted the strenuous journey of becoming a successful journalist. Bragg states, “to get what other’s can’t get or see,” is the key to being a good reporter. A student posed the question of how does a journalist go about separating themselves from a story. Bragg suggested that many journalists will tell future journalists that to go into a story with a “clean slate.” However, Bragg continues to state that anyone with a sense of intelligence will not do that. Bragg states the most important aspect when constructing a piece under the presence of a “leaning mindset,”. The journalist should never directly say “I feel” or “I think,” but rather pull all the facts and details that can build the story to transmit the desired feelings. In addition, a journalist should be capable of putting forward their best tone and style when writing in order to successfully compose a piece. 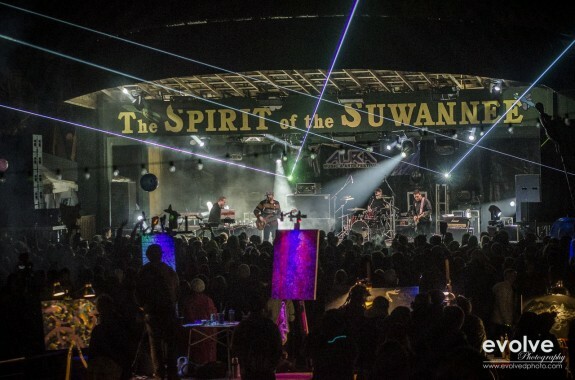 Every spring, the Spirit of Suwannee Park holds their Aura music festival. Within the decorated trees of moss and colorful tapestry, one’s inner flower child will find itself amongst the natural beauty and intimate festival setting. The festival’s dates were February 15, 16, and 17. Spreading over the 800 acres of Florida’s natural lands, attendees experienced over 15 funky jam bands. Aura’s line up left no spirit unmoved, with a line up that spread from Kung Fu & Dopapod to a tribute to Stevie Wonder. The endless beauty of music streamed between the two stages and canopies of endless hammocks of the outdoor theater. This year’s line up held a very special spot for much of the crowd. The long and infamous band, Perpetual Groove, held their last two performances before their “long term” hiatus. The music streamed throughout the day, but the experience did not stop once during the three day long camping trip.Individuals set up Side Street vending to promote their personal talents and sales, many to help pay their way back home, while others sought through official vending within the park. Each morning at 7 a.m., yogis of all levels were invited to partake in the community yoga and meditation sessions. Thai Massage and Asana classes were also held later in the afternoons in the Tribal Council dome. The Tribal Council left visitors feeling relaxed and balanced through zen tunes and calming environment. It seems that every day it’s becoming more relevant to look to technology for assistance and information. The progress of technology in our society is at a rapid pace. There is something to be said about the sources for information that could possibly be left in the dust. We briefly discussed the growing popularity of blogging and the effects on future job opportunities. The ongoing topic thus lead to researching the internet for helpful tips and suggestions to developing a prime online resume and portfolio. As a result, there are many websites and blogs categorized under “Journalism and Technology” through Google search engine. The first one to be listed, concentrated on the negative association with email interviews. Various pages suggested that applicants should be weary of the email interviews to be seen as an underlying message of “you’re just not what we want but we don’t want to completely detest your dreams” from employers. Instead, individuals should search to schedule either a phone interview or a face to face interaction, or a series of both. When one engages in email, there is an initial loss of personality and creativity. It is not to suggest that a journalist does not obtain the ability to razzle dazzle via semantics and writing style. 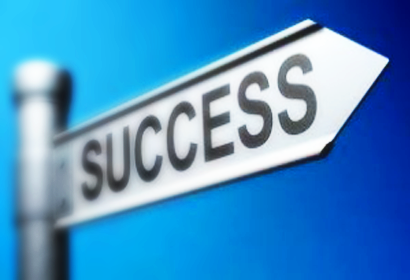 They emphasize the importance of personality and aura as a leading factor in interviews. 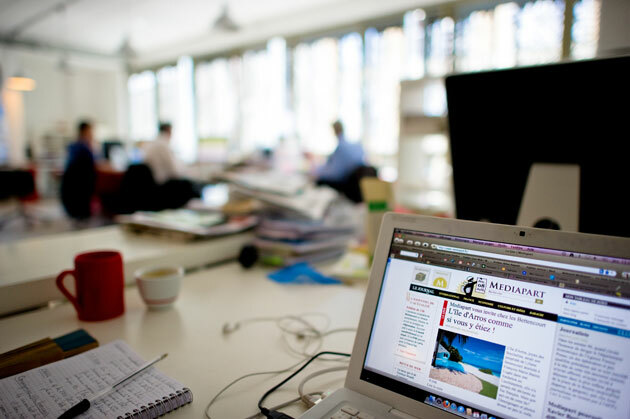 Transitioning to a move helpful mindset of developing a positive impact to employers, There are also websites out there seeking to distribute information on the basics of journalism. The Online Journalism Review (OJR). OJR offers great “How-To” guides for individuals seeking tutorials and basic information from reporting to jump start your online portfolio. The website also gives updated examples of current blogging topics and style to give readers an actual application of their suggested tips and help. In addition to reading organization’s pages, blogs by college graduates offer a real life look into the process of seeking employment. Mindy Mcadams’s “Online Journalism: Wake-Up Call,” outlines the steps of beginning a journalistic career online.